TIG Insurance Company is a New Hampshire-based specialty insurance firm owned by global insurance giant Fairfax Financial Holdings, Ltd. The company is part of Fairfax Holdings’ RiverStone Group. This group comprises a collection of insurance companies currently in a runoff throughout the United States. Because TIG is in runoff, there is very little we can say in terms of the types of insurance they offer. We make it easy for you to find online health insurance quotes with just a few minutes of your time – just enter your zip code below! The company was originally incorporated in 1911 in Texas. However, it’s not clear what business activities they were involved in at that time. TIG did not become licensed to sell insurance in Texas until 1931. Historical records seem to indicate that they may have sold insurance in other states prior to the Texas licensure. There is some indication they may have been active in California, Indiana, and a handful of other states. As previously stated, TIG Insurance Company is currently in a runoff state. Runoff is a legal designation classifying an insurance company as still doing business servicing and renewing current policies, but not being allowed to write new policies or pursue any new business. Often times, runoff is a precursor to bankruptcy, sale, or receivership. The TIG Insurance Company website makes no mention of the current state of affairs of the company. Instead, it contains a simple, one sentence statement directing users to Fairfax Holdings. They also offered an extensive line of specialty insurance products. Specialty insurance is just what the name implies; insurance products that only certain groups of people need for certain circumstances. A good example would be classic car insurance that would cover an older, restored vehicle. TIG Insurance Company has a rather convoluted history according to official Texas records. The company has been acquired and merged with other companies in more than a dozen occasions throughout its 90 year history, the most recent being the acquisition by Fairfax Holdings. Since 2003, the company has been merged six times and relocated their offices to various locations around Southern California. In addition, this company has a history of regulatory violations, which have resulted in fines. For example, TIG was fined $50,000 in 1992 for making public statements in Texas that were not allowed by law. They were fined twice in 1995, for a total of $52,000, for market violations in Arizona and Connecticut. Finally, they were fined twice in 1997 for the same types of violations in New York and Missouri, this time to the tune of $17,000. Although we cannot say for certain what the state of affairs is at TIG Insurance Company, it makes sense that a combination of their regulatory issues, excessive sales and mergers, and current runoff situation does not bode well. 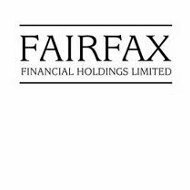 It would seem at this point that only the strength of Fairfax Holdings is keeping the company in operation. Despite the apparent troubles TIG Insurance Company has experienced they still receive a decent rating from A.M. Best. In 2008, A.M. Best withdrew its ratings for TIG but has since reinstated them. As of the first quarter 2011 the ratings service gave TIG a “B+” rating for its financial strength. No future outlook rating was given, but a “BBB-” was given for issuer credit. Given the company’s past history and the current sluggish economy, these ratings are not too bad. TIG records filed with the state of Texas at the end of 2010 provide further evidence as to the decent ratings given by A.M. Best. According to these records, the company finished the 2010 fiscal year with total assets of $1.95 billion. Their policy surplus came in at $669 million while their working capital was $4.3 million. As a reinsurance company in a runoff scenario, these financial reports are reason enough for tempered confidence in the company. Various state records show the company has had offices in Texas, California, and other places. Their last known address listed with the state of Texas was in Southern California. However, the address listed on their corporate website is the one located in Manchester, New Hampshire. For this reason, we have listed that address below. If you’re currently in the market for health insurance, and you’re looking for health insurance quotes online, just enter your zip code in the box below.